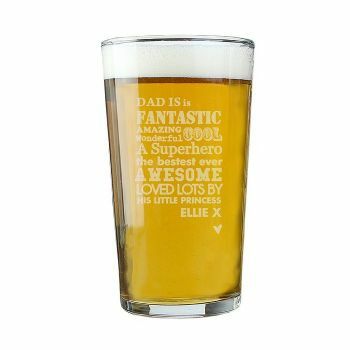 Personalise this He is... Pint glass with a name up to 12 characters, and 2 lines of 20 characters for a message at the bottom. Please note - all text will default to capitalised text. 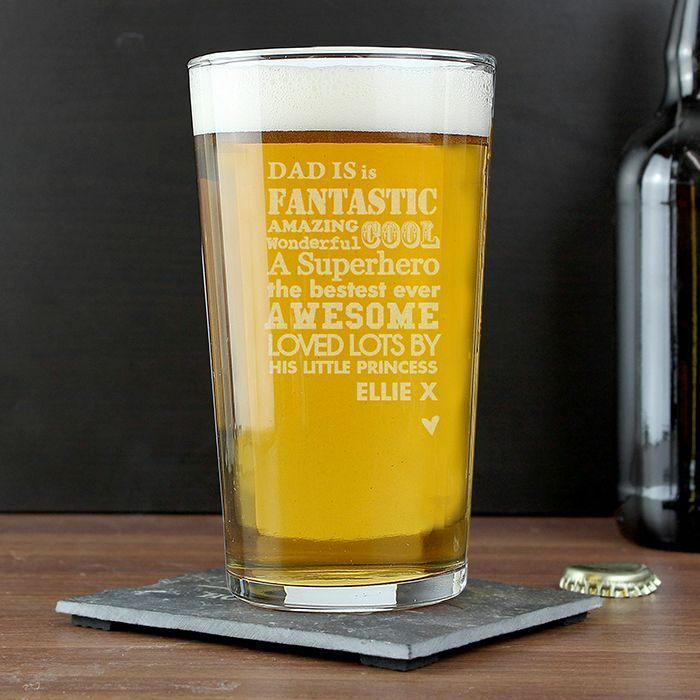 'Is' , 'Fantastic,Amazing, Wonderful, Cool, A Superhero, the bestest ever, Awesome' and 'Loved Lots By' is fixed text to the front of the design. 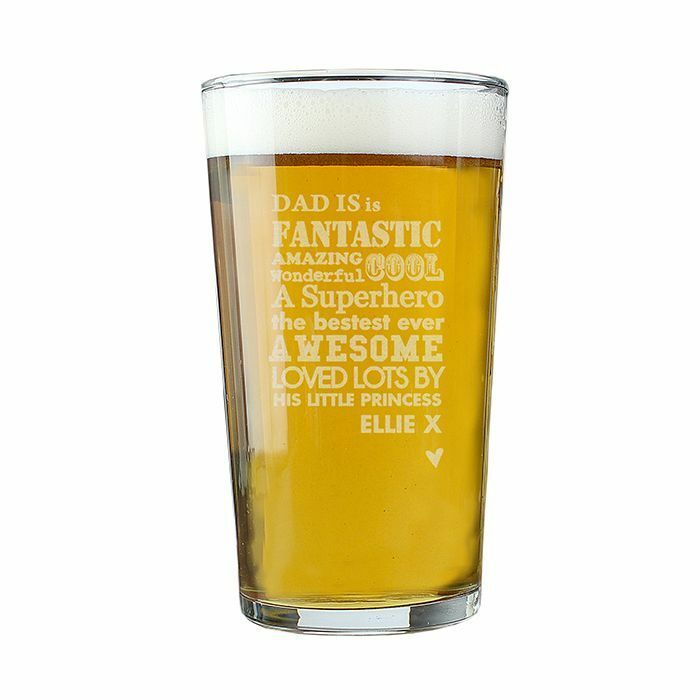 Great for Fathers Day, Birthdays.